Normally, you might expect an airport to advertise for control tower workers, hangar space, or new businesses to relocate on the airport grounds. Well, St. Louis Downtown Airport is looking for something a little different. The airport is seeking a local farmer to plant and harvest crops on undeveloped ground at the airport in Illinois. The airport is located on 1,000 acres in Cahokia and Sauget and is just three miles east of downtown St. Louis. The Bi-State Development Agency owns and operates the airport and its surrounding industrial business park. The lease would provide the farmer with about 330 acres of open ground that currently is not being utilized. The airport would save money on mowing costs while generating revenue through the rental agreement. 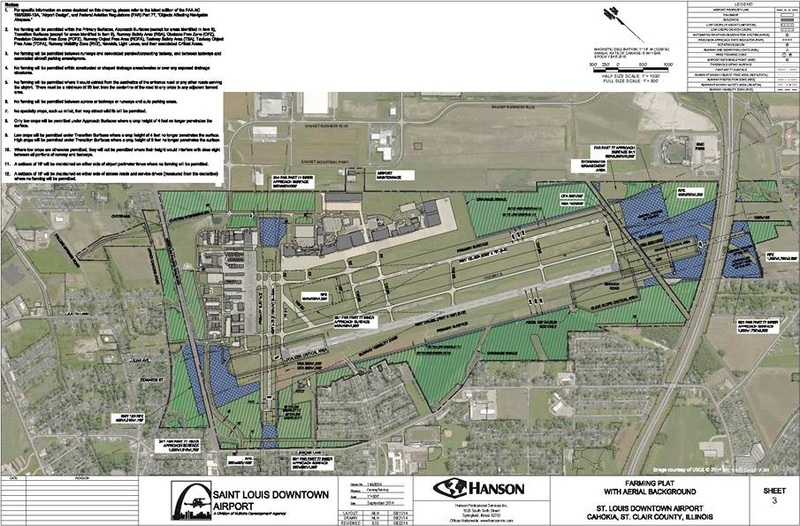 “It’s a win-win for the airport,” said Erick Dahl, St. Louis Downtown Airport Director. Dahl said a number of airports around the country are encouraging farmers to cultivate their excess acres. He said the Federal Aviation Administration sets standards on how and where areas of the airport can be farmed. For instance, height restrictions determine whether low crops like soybeans can be grown in a certain spot as opposed to a tall crop like corn. It will be up to the farmer, the airport and the Farm Service Agency to agree upon which crops will be planted in which areas. The farmer is being selected through a competitive bid process and will rent the ground for the purpose of growing crops for the next five years. The farmer will also undergo training about airport security to find out where they can and cannot go at the airport and where farming equipment may be stored. St. Louis Downtown Airport is the third busiest in Illinois. The airport generates more than 3,700 jobs for the region and provides a regional economic impact of $584 million. The airport is also home to 26 businesses, including Jet Aviation. Jet Aviation is an international aircraft maintenance and services company which operates on 60 acres at the airport.